I have heard so many conflicting facts about drinking water and weight loss. I have heard that the body can't distinguish between hunger and thirst so if your hungry drink a large glass of water and it will help you not snack. Then I have heard that this really isn't true or that you may feel full for about 5 minutes but since there is nothing to digest, the water goes right through you, leaving you hungry again. What have you heard, and more importantly, does it work for you? Comments for Does drinking water really help? I have been dieting for the past two months and have lost 28 lbs. A big part of my routine is making sure that I drink 64 oz. of water every day. I find that it does keep me from feeling hungry during the day and helps my digestive system. It is also a good replacement beverage for higher calorie drinks, especially considering the most recent studies connecting weight gain and diet sodas. Drinking water is also good for your skin, hair, and nails. If you exercise, you need to replace the fluids your body loses through perspiration and water is a zero-calorie option for doing that. I highly recommend water! Most people go around slightly thirsty all the time; that's the reason for all the half empty bottles and cans of soda and cups of coffee on everybody's desk. The soda and coffee most often wind up unfinished because the body realizes they are diuretic and will just make the thirst worse. If you drink more water--up to 64 ounces a day--you will fill your water needs adequately. Although this does not directly cause you to lose weight, you will find yourself less hungry. This is because your body mistakes thirst for hunger. If you are really hungry, the water will not cause you to eat less; what it combats is "head hunger." That is not real hunger at all, only a feeling that we mistake for hunger because we don't know what else it is. There has been some proof that people believe they are hungry when they are actually thirsty. This causes people to eat more than their body actually wants and needs. Listening to your body and knowing when you are in fact actually thirsty can lower you calorie count etc. Also, drinking water can confuse the mind by giving a sensation of being full, so sometimes if you do not want to snack, but feel uncomfortable, have a glass of water and this will help. Both these help with weight loss, and can be used as very useful tools. Water is also good for the body. I believe that there is nothing better for your body that you can drink. I assure you that drinking water will reduce weight.One month before I was 68 Kgs. I want to reduce weight to 52 Kgs. I started drinking water nearly 4 Litres a day. It reduced my calories and excess weight. But i don't feel that water will reduce hunger. When you drink water when you are hungry it will reduce the appetite for five minutes only. Again it will give a hunger sense only. This is my experience. Merely drinking water won't reduce weight. It is a must to take vegetables and fruits. I used to take one apple a day. It helps me to reduce weight. I myself lost 5kgs just by taking a good amount of water with a proper diet. The fact is the Human body needs around 8 glass of water daily to be fit. But if you have weight issues and want to lose some extra fat, then drinking water surely helps. But you've to follow your exercise routine as well as your diet plan. Keep drinking water at regular intervals. And drink atleast 10-12 glass of water daily. Start with minimum then raise the quantity slowly day by day. With these you'll slowly start feeling that you are losing extra fat. By drinking water, you are continually ridding yourself of bacteria that forms as you eat more and more junk. So, while your drinking the water, your actually pushing the various toxins to the bottom and releasing them out. My mother once said to me that I could eat almost anything I want, as long as i beat out whatever I ate by drinking water. Its really true. Your body is made up of mostly water, so why wouldn't you want to drink what your made up of. I say, drink lots of water, use the bathroom regularly and you should be fine. Yes my dear friend drinking water helps a lot. About 70% of our body is of water From top to bottom every part of our body gets benefit . For every male or female the beauty lies in his hair & face. If u drink more water the hair problems are solved to a great extend, hair fall reduces, dandruff problem gets sorted out. So the beauty of hair is maintained. Now lets talk about our face. Many of us feel dryness on our face, i.e. due to lack of water in our body. If u drink lot of water u can have a glow on ur face, dark circles under your eyes also can get removed completely . Similarly it is true for the skin of our entire body. It glows if we drink lot of water. The beauty comes from within the body, if u drink lot of water the constipation problem is solved which is the root cause for many disease. Water helps in digestion of food. The waste acids from the body are passed out through urine if good quantity of water is consumed. In today's busy life we don't get enough time for exercise. So my dear friends by drinking water we can keep ourselves healthy . That's all i have to say, may god give u a long & healthy life. Take care of yourself & keep drinking water. I firmly believe drinking water can help because it leaves you feeling full. You eat less and never have that I am dying of hunger feeling. 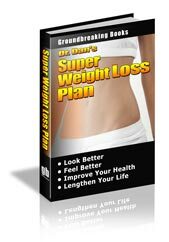 It has helped me in the past loose weight and fell better. Drinking 3 to 4 liters of water a day will always help in reducing weight. If you are looking to reduce weight quickly then add honey and lemon in a glass of water in the morning. You will find that you have reduced weight in the tune of 3 to 4 kg in a months time. Needless to say that you have to avoid rich diet. You should take lemon along with water at least 3 to 4 times a day, if you want to loose more weight in a short span of time. You will be amazed to know that I was 84 kgs when I regularly started doing this and with in 3 months I was 72 kgs. My advice is to do as I have recommended and avoid fatty diets. You will see the difference in a month's time.